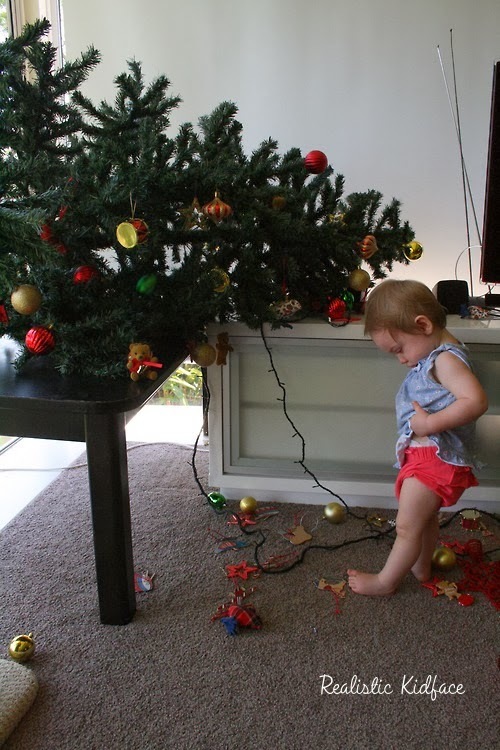 Realise now that my poor tree (naively) secured on a "safety table" was no match for my determined baby-who-can-stand-on-tippy-toes. Snapped clean in half. We now have a beautifully decorated stump. Falalalalaaaa….